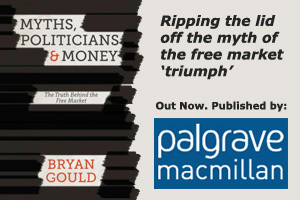 The global recession dominates the thinking and writing of the world’s best economists – and not surprisingly, they exhibit a wide range of views as to what is really happening. There is not even a consensus about how deep and how long the recession will be, let alone what should be done about it. In New Zealand, we are now reaching a more sober assessment of how we will be affected. After an early period that was somewhat akin to a “phoney war”, we are now beginning to realise that the worst may be yet to come. We must of course be careful to avoid undue pessimism. Deflation feeds on itself, as people prepare for hard times by battening down the hatches and thereby make the times even harder. But we must also be alert to the policy measures that could help – and there is at least an emerging consensus that the earlier such measures are put in place, the more effective they will be. We also know now that the “jobs summit” – however well-intentioned – may have succeeded in creating a sense of pulling together but has not managed to produce much by way of measures to stop the slide into further recession. If we are to be effective, we need to decide now on what needs to be done. The time may be right, in other words, to rehearse the arguments for government intervention. Virtually all of the world’s economists agree that the central feature of recession, and of threatened depression, is a deficiency of demand or purchasing power. In New Zealand, we are being hit by a double whammy in this regard; our export markets are contracting at the same time as unemployment and a deflated housing market mean that consumers at home are also spending less. Left to itself, an economy will take a long and damaging time to correct this deficiency. But, it will be asked, what can governments do about this, when their own finances are being hard hit by recessionary factors? And if the government spends money it doesn’t have, isn’t this just building up problems for the future? Our own Treasury is not immune from this kind of thinking. Its projections show – even without further interventions – a sharp rise in the government deficit in the next year or so, and they then extrapolate that rise so that the deficit appears to soar into the stratosphere over the next decade. This, they say, means we should be cautious about boosting government spending further. This is not, however, an accurate way of looking at the issues. There is a good deal of evidence, supported by a growing number of economists, that the key is timing. A dollar spent now to boost the economy could save several dollars in government deficit later on. The argument runs as follows. The government deficit rises and falls in line with the fortunes of the economy as a whole. A buoyant economy will generate a large tax revenue so that -as has happened over recent years – the deficit can actually be reduced by paying off debt. A flat or shrinking economy, on the other hand, will increase the deficit, as the government struggles to maintain essential services with falling tax revenues; and if the government does respond by trying to cut the deficit by spending less, this will make matters worse by dragging the economy even lower and making the deficit bigger in the long term. If, on the other hand, the government has the courage to intervene now with carefully judged spending so that economic activity is boosted, the recession will end sooner and government finances will improve quicker. What might look like a frightening short-term deficit may well be the best protection against a bigger deficit in the long term. The priority is to spend the government dollar now, when it is most needed and will be most effective in correcting what would otherwise be a growing deficiency of demand. Government spending now would of course depend for its efficacy on exactly what it was spent on. If increased government spending went mainly on consumption, little would have been achieved; that is why many believe that tax cuts are not necessarily the most effective means of boosting the economy and countering the recession. If, on the other hand, the government spends now on investment projects that will strengthen our economy in the long term, we not only counter the current recession effectively, but will be better equipped to prosper in the future. Investment for this purpose need not be limited to physical facilities in areas like transport, communications and energy, but could also include programmes for improving our research effort and the skills of our people. The ideologues and the faint-hearted will quail at the sight of a rising government deficit at this particular juncture. But common sense is our best guide. We are all familiar, in our personal lives and in our businesses, with borrowing now to invest in a more prosperous future. Let’s do it for our country too. This article was published in the NZ Herald on 26 March.